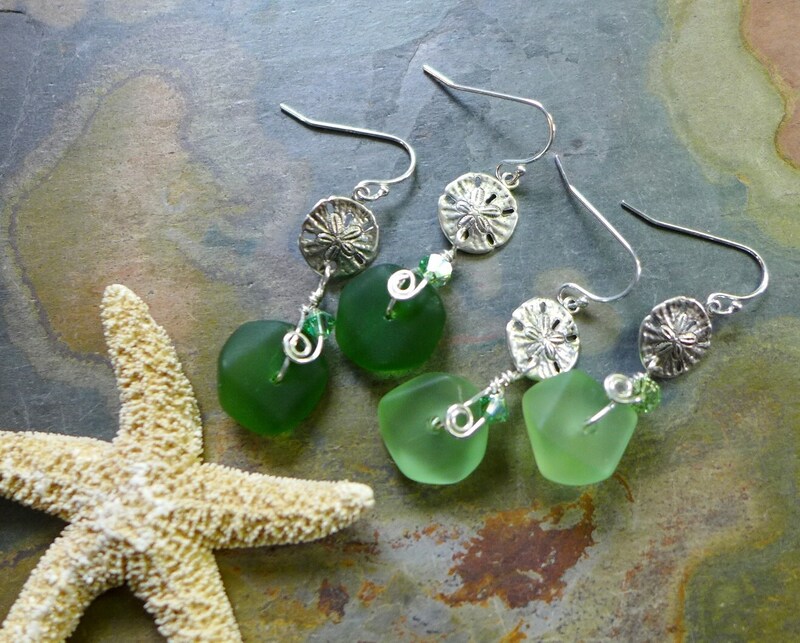 Gorgeous Sea glass beads in shade Green !!! 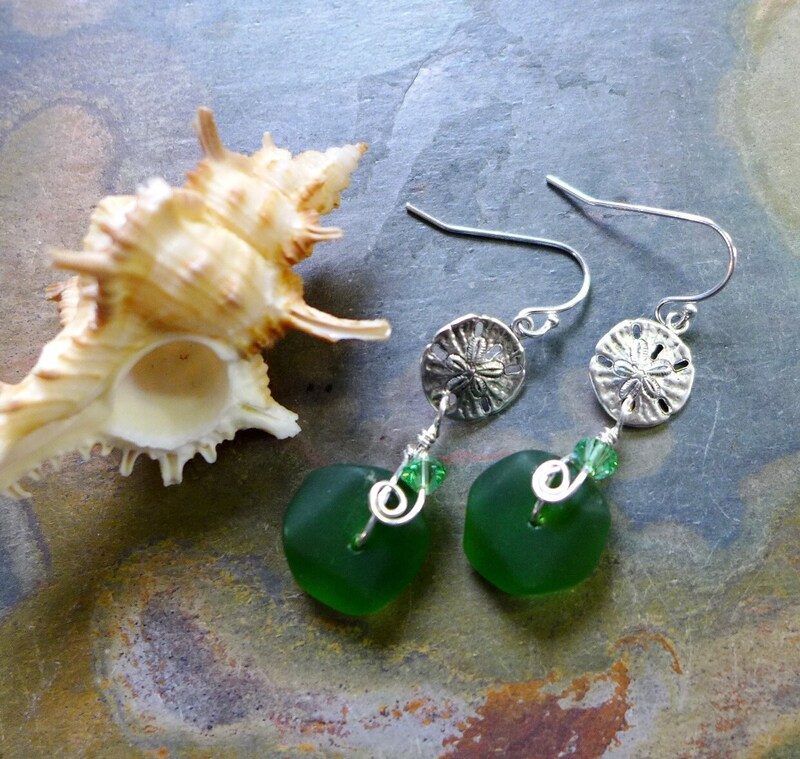 The latest in my collection: recycled /cultured Sea glass jewelry. 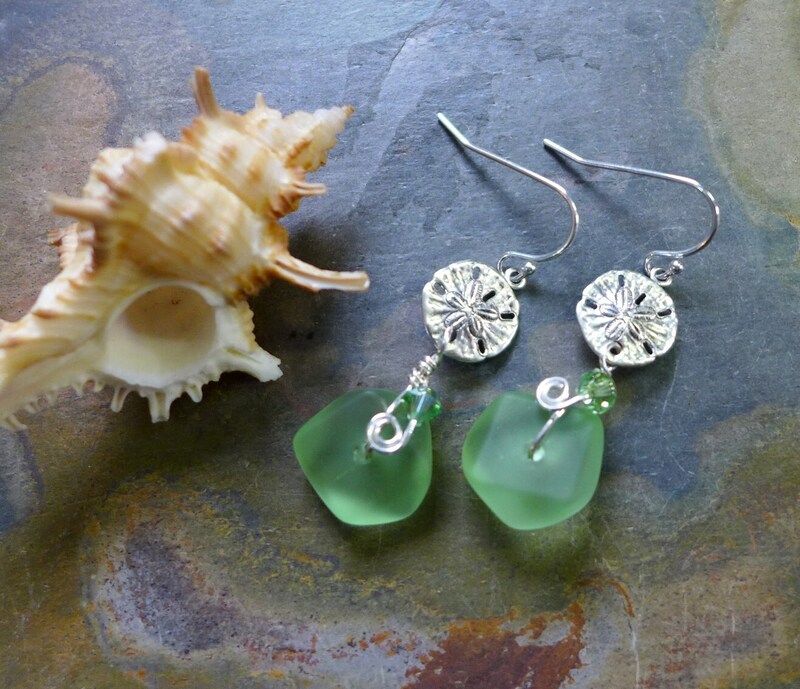 The same soft finish as found in natural sea glass. 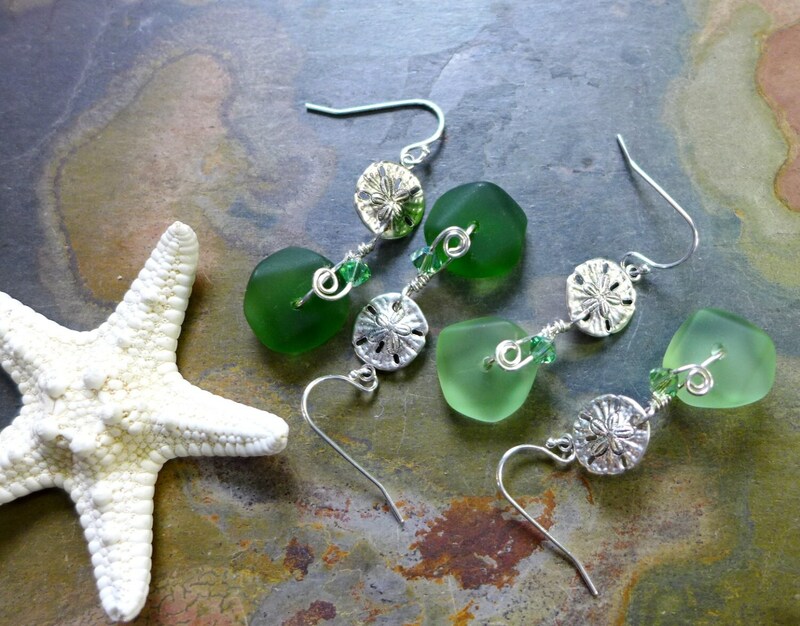 These fun, colorful earrings are carefully Wire Wrapped with .925 sterling silver wires on recycled unique, wavy button style sea glass beads approximately 14 x 5mm thick. They dangle nicely slightly over 1.50 inch from the bottom of the .925 sterling silver earwires. ~Sand Dollar Charm: It is sterling silver plated,oxidized. The piece is approximately 1/2" x 1/2"